Our organization is counted among the trustworthy firms, involved in offering a variety of Single Phase Preventer (SSP). These products are manufactured by us to ensure their compliance with the international quality standards and norms. We are the prominent manufacturer and supplier of a comprehensive array of One Plus Three Preventer. These preventers are designed using finest material & latest techniques in accordance with the set norms. Also, we provide these preventers on different specifications to meet the frequent needs of our esteemed clientele. 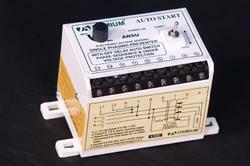 Customers can avail these preventers from us at industry leading price within promised time frame. 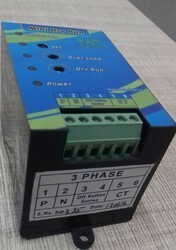 By keeping track of the latest development, we are offering a wide array of Three Phase Preventer. These preventers are manufactured by making use of excellent quality material in adherence to set industrial norms. 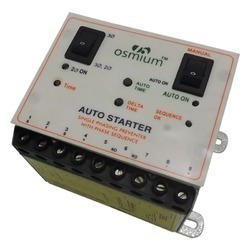 Also, our preventers prevented suitable to all type of agriculture motors and starters. 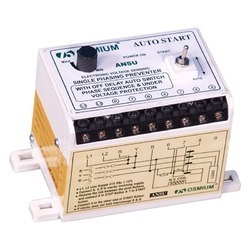 Customers can avail these preventers at most affordable prices from us. 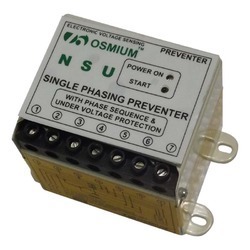 We introduce ourselves as an eminent manufacturer and supplier of extensive quality array of NSU Single Phase Preventer. Known for its protection from unbalance voltage, offered preventer is manufactured by utilizing top quality material keeping in mind the set norms of market. The offered preventer is examined by our quality controllers on diverse parameters so as to dispatch a perfect range. In this Dry run prevented suitable to all type of agriculture motors and starters (specially for 1+3 DOL & star delta), when motor run in with out water, it will stop and prevent your motor. In this Dry run prevented suitable to all type of agriculture motors and starters (especially for 3 DOL), when motor run in with out water, it will stop and prevent your motor.